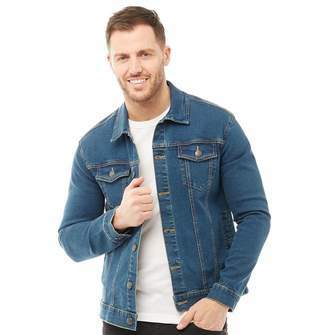 Code: IN6NN3439 Colour: Faded Mid Blue Product Detail: French Connection classic denim jacket with a vintage yet timeless feel. Logo buttons. 100% cotton. Button fastening. Two button down chest pockets. Two slip pockets. Regular fit. Special Instructions: Due to specific dyeing process item may lose colour. Wash before wear.